timothy-chapman-2014-nairobi-img14Artist Elijah Ooko (L) at his studio with Timothy Chapman (R). timothy-chapman-2014-nairobi-img13At artists’ reception at Ambassador Godec’s home, left to right: artist Kivuthi Mbuno, artist Timothy Chapman, artist Tom Mboya Ambassador Robert Godec,. 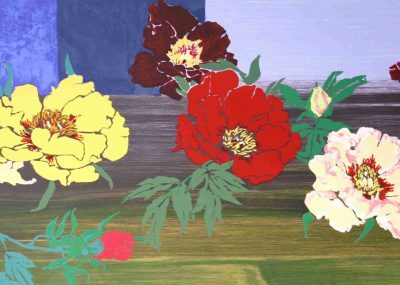 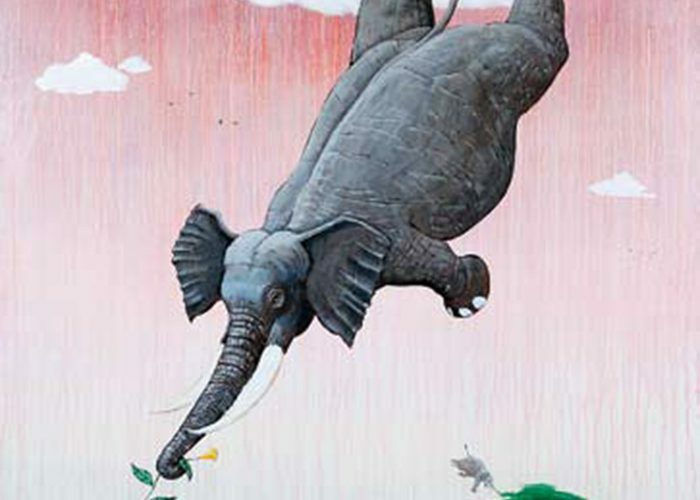 (painting by Timothy Chapman). timothy-chapman-2014-nairobi-img12Touring the School of Visual and Performing Arts at Kenyatta University. 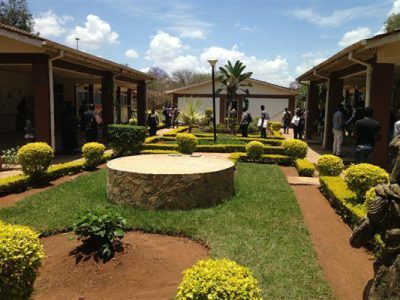 timothy-chapman-2014-nairobi-img11Kenya High School. 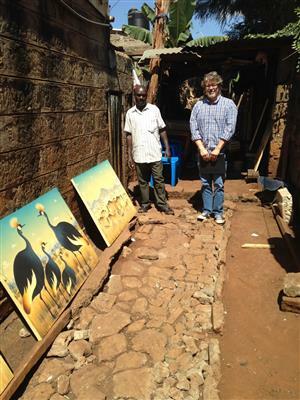 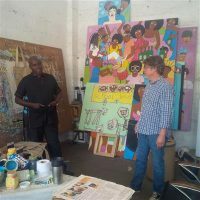 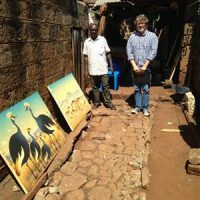 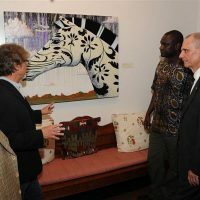 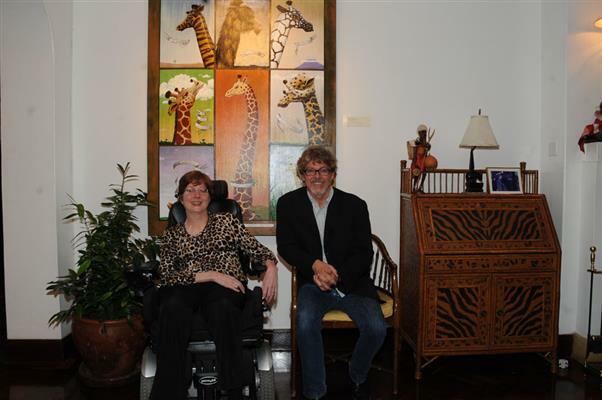 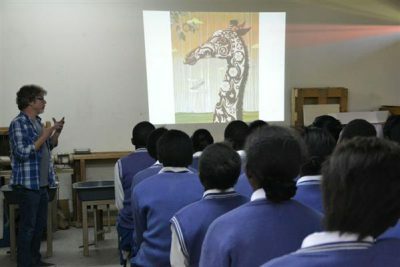 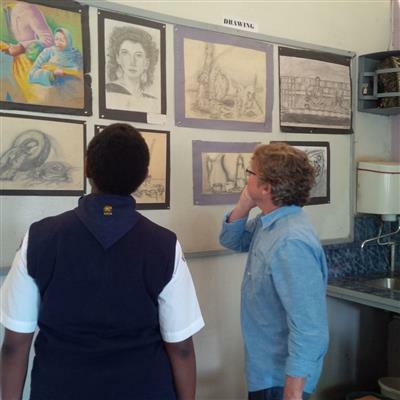 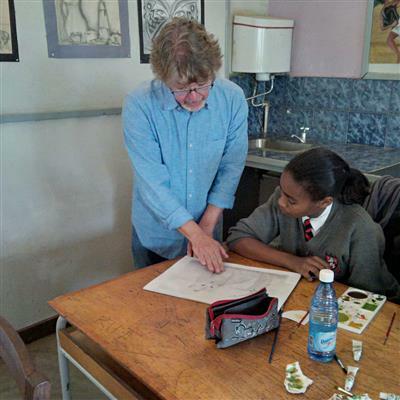 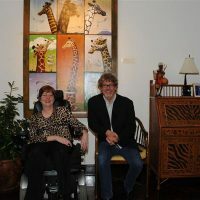 Artist Timothy Chapman shown with teacher Susan O. Shireka of the Kenya High School, critiques students work during workshop. 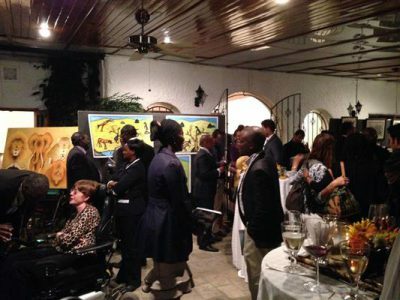 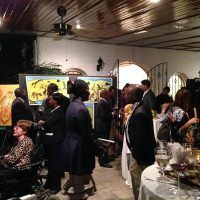 timothy-chapman-2014-nairobi-img10On the evening of September 17th, Ambassador Robert Godec and his wife and his wife Lori Magnusson hosted a reception for Timothy Chapman and four other local artists whose work featured animal imagery. 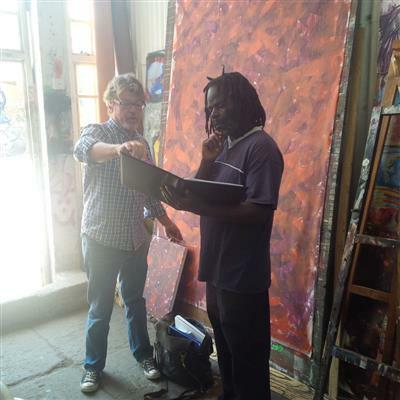 timothy-chapman-2014-nairobi-img6Timothy Chapman visits fellow artist Michael Soi in his studio at the GoDown Arts Centre. 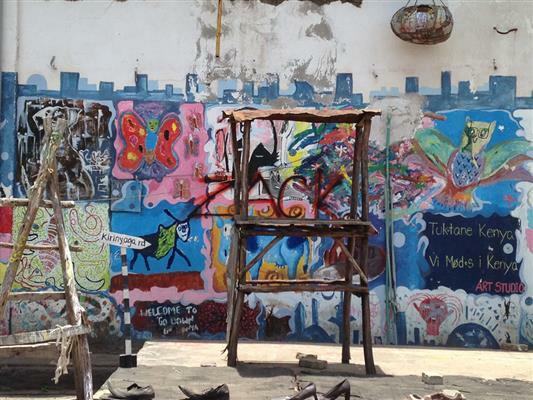 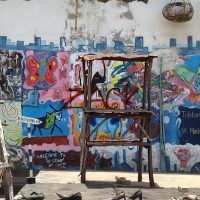 The GoDown Arts Centre is an group of artists’ studios and exhibition spaces in Nairobi. 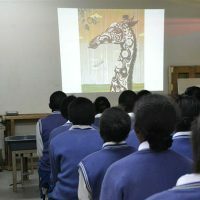 It is a home for visual and performing arts. 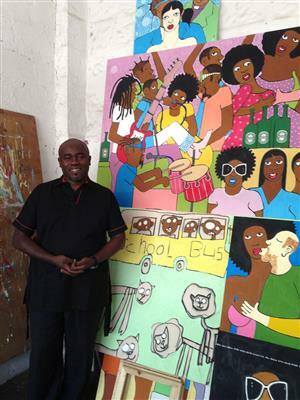 timothy-chapman-2014-nairobi-img5Admiring the graffiti walls during artists’ studio visits. 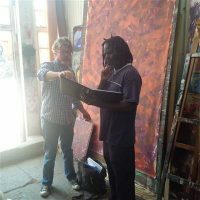 The GoDown Arts Centre aims to develop independent artist across multiple art forms and to participate in the advancement of the cultural sector. 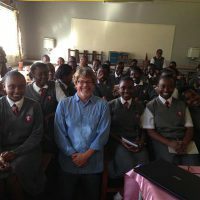 timothy-chapman-2014-nairobi-img4After the presentation/Q&A at Kenya High School, Timothy Chapman poses for a quick photo with a few of the art students and their teacher, Susan O. Shireka. 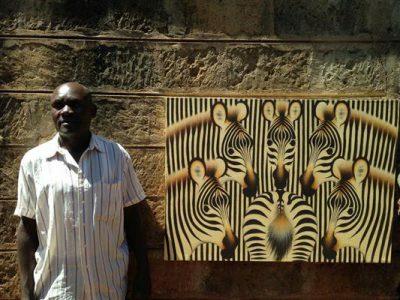 timothy-chapman-2014-nairobi-img3Artist Elijah Ooko with one of his paintings. 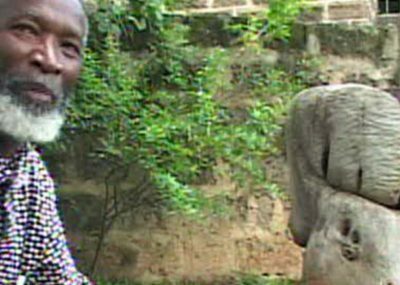 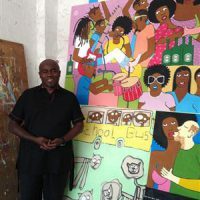 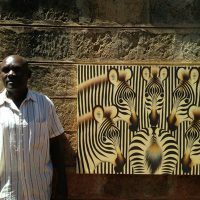 Elijah Ooko is a Nairobi artist and is something of a national treasure. 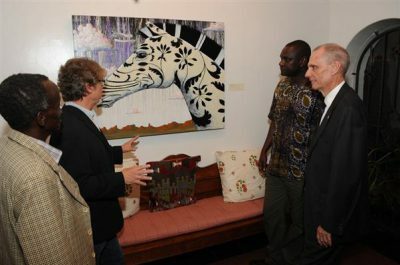 His studio and home are in Lang’ata, a suburb of Nairobi. 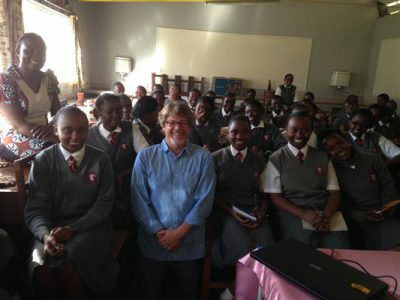 timothy-chapman-2014-nairobi-img2Timothy Chapman speaks to students at Moi Forces Academy about his technique and his career. 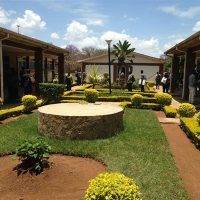 The Moi Forces Academy in Nairobi is a public school sponsored by the Kenyan Ministry of State for Defense. 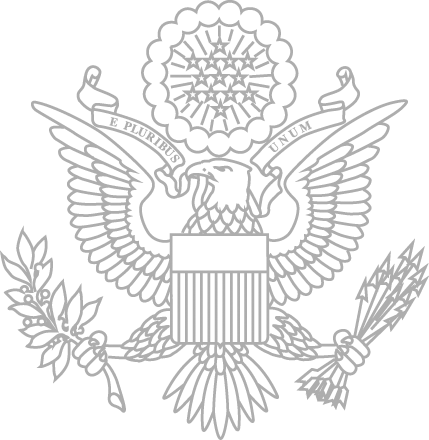 It admits children of both Armed Forces personnel and civilians.